Mandisa Diane Hundley, artistically known as Mandisa (born October 1, 1976) is an American-Grammy award nominated singer who rose to fame as one of the favourites in the fifth (2006) season of American Idol. Despite finishing as the overall ninth place finalist, Mandisa has gone on to become one of the most successful idol contestants of all time. She has so far released four studio albums. "True Beauty" (2007) "It's Christmas" (2008) "Freedom" (2009) and "What If We Were Real" (2011) Mandisa's music ventures a blend of Christian music, soul, pop and R&B. 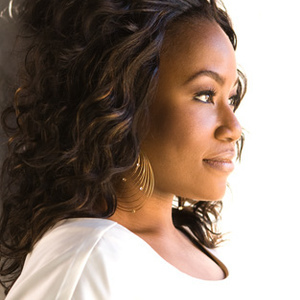 Mandisa grew up in Citrus Heights, California (Sacramento County) and graduated from El Camino Fundamental High School. She then attended American River College in Sacramento where she studied Vocal Jazz. Then she was off to Fisk University in Tennessee and graduated with a bachelor's of music degree with a concentration in vocal performance. Mandisa currently resides in the suburban Nashville community of Antioch, Tennessee. When she auditioned for American Idol in Chicago, she asked the judges to call her "just Mandisa", and she has been billed as Mandisa (with no last name) on the show since the shows Hollywood round. Mandisa was a backup singer for famed Christian author and speaker Beth Moore. She has stated her musical influences run the gamut from Whitney Houston to Def Leppard. Idol judge Simon Cowell made several comments about Mandisa's weight during her audition. When he first saw her, he quipped are we "going to have a bigger stage this year." Later, when Paula Abdul commented that Mandisa had a "Frenchie" growl to her voice, Cowell responded that a more apt comparison would be to France itself. These were among comments that drew the ire of the National Association to Advance Fat Acceptance, and would be one of the reasons Mandisa would entitle her 2007 album "True Beauty". According to the Stronger Songfacts, the 11 tracks of Mandisa's 2011 album What If WeWere Real encourage shining the light on whom we really are, including both the good and the bad; the theme of the record also coincided with Mandisa's public struggles with food addiction and weight loss. "A struggle is a struggle, and Jesus is there through it all," the singer explained. "He is there in compassion and grace. I have found that what He has spoken to me through these songs has been encouraging and I think that'll be true for other people who are going through their own hard times."